It's a newly created role at the cruise line for the former comms executive at travel technology company Sabre. Chiames is reporting directly to Carnival president Christine Duffy. He is serving as a key adviser to Carnival’s leadership team and is responsible for corporate reputation management, internal and external communications, issues management, and executive communications, according to a statement. Chiames, who was not immediately available for additional comment, announced the newly created role in a LinkedIn post on Monday morning. Chiames began working at Carnival last month, according to his LinkedIn profile. Most recently, he was SVP of communications for travel technology company Sabre. He left that role in November, according to his LinkedIn profile. Previously, Chiames was VP of corporate affairs for Orbitz Worldwide. 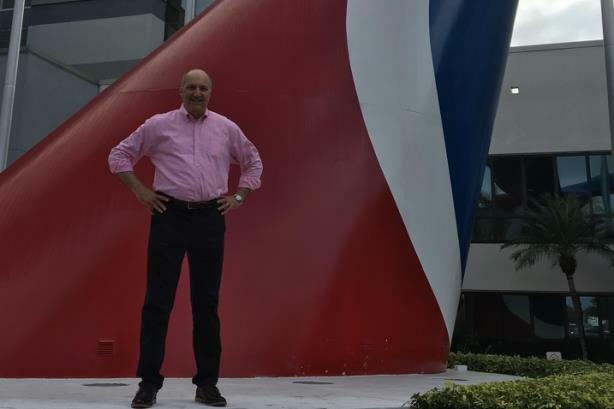 Earlier in his career, he was an SVP at U.S. Airways, managing partner at Burson-Marsteller, and MD of PR at American Airlines and the Air Transport Association. Carnival Corporation reported fourth-quarter revenue of $4.26 billion, up 8.2% compared to the same period of the previous year. The company is scheduled to announce its next quarterly results on March 27.